The Wasakan Party Poster Girl Mei Bastes will open her new tattoo shop and restaurant with a great great great great party! 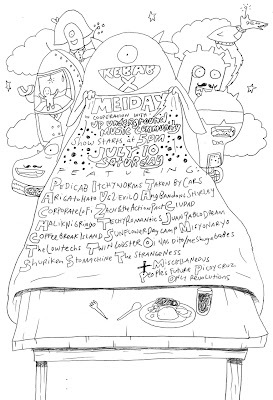 Drop by Cubao X on July 10, 2010 to catch the KEBAB X MEIDAY gig. This event will be handled by the UP Underground Music Community. And, as you all know, Meiday Meiday parties are always FREE! Gates open at 5pm. See you there, little monsters! 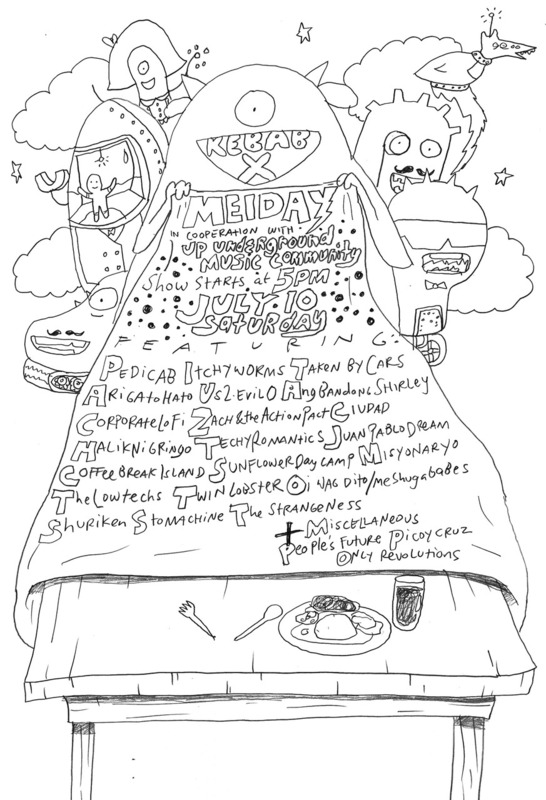 I hope there won't be any more brouhahas like the Feb 6 Meiday Party. Let's behave, gaiz. Stop war not peace. Meh.